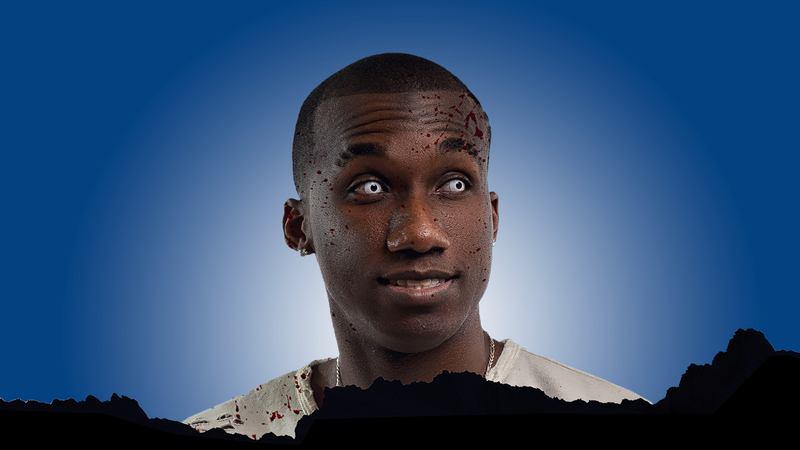 You might know LA hip-hop artist Hopsin from his massive social media following, his record label Undercover Prodigy, his eyes—no seriously, or his 2013 breakthrough album, Knock Madness. 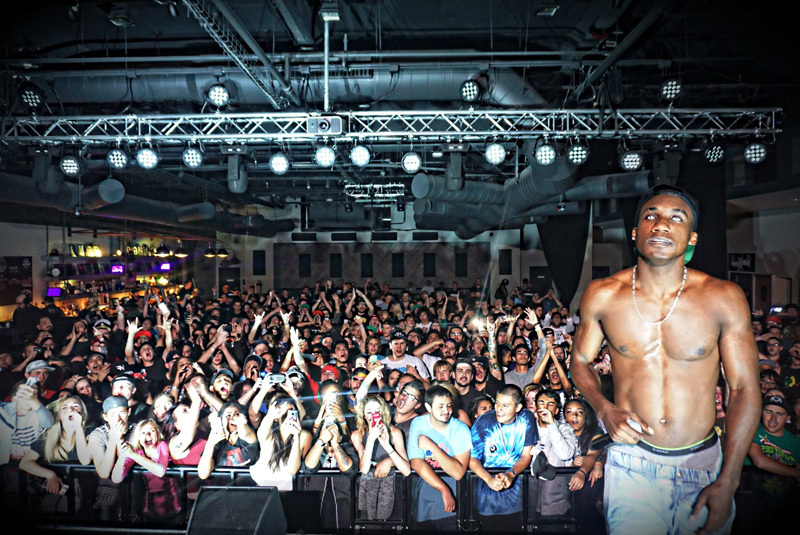 From collabs with artists like Tech N9ne, Paul Wall, Yealawolf, and Insane Clown Posse, to seeing over 23 millions streams on "Ill Mind of Hopsin 5" (the fifth installment in the "Ill Mind" series), Hopsin is an artist you can't ignore. 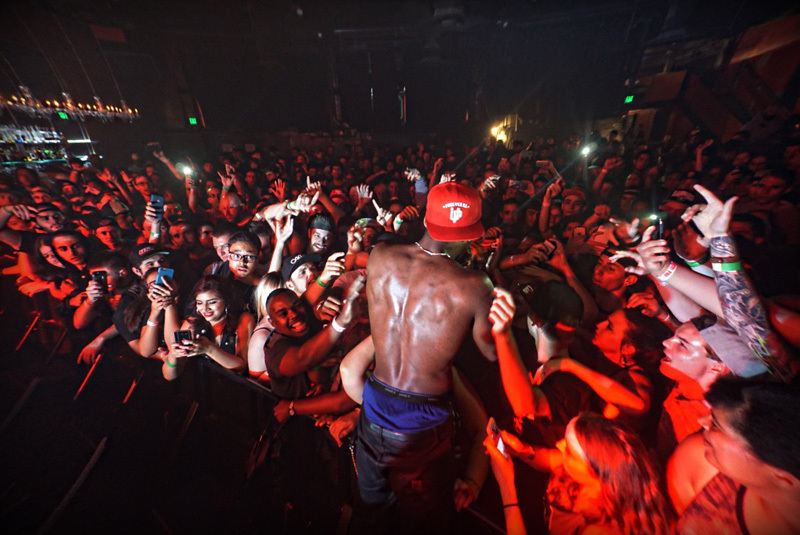 Currently out on his Savageville headlining tour, Hopsin is bringing his raw lyrical ability and genuineness to concerts everywhere, including NYC, Milwaukee, Cleveland, Philadelphia, and Boston. 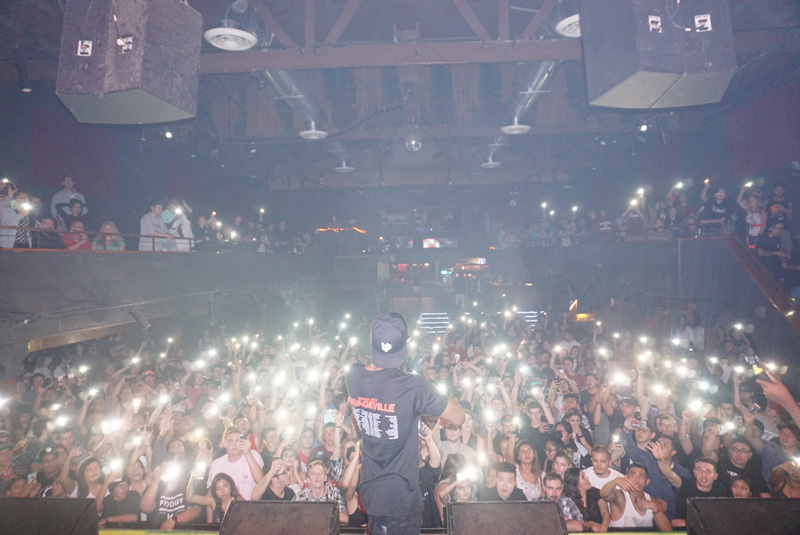 Joining the "False Advertisement" rapper at his shows, are openers Joyner Lucas and Token–two artists who help build the most hype possible for a Hopsin show. 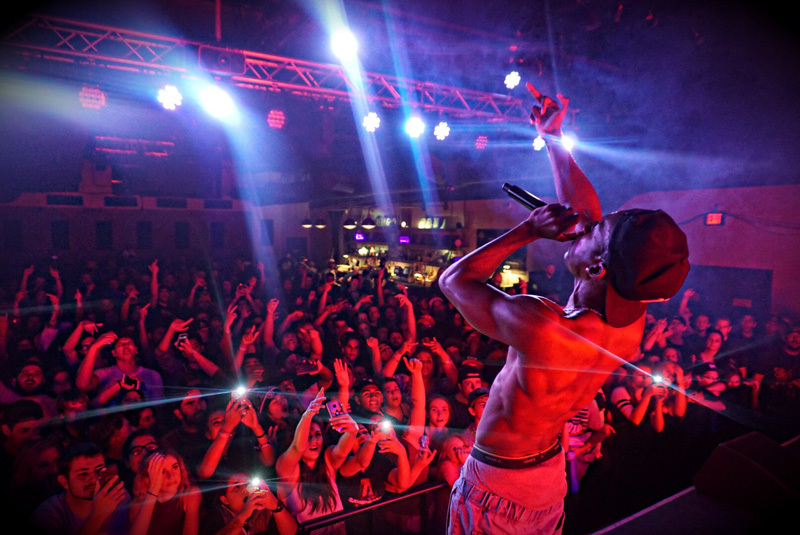 Wondering what it's like to see Hopsin live? 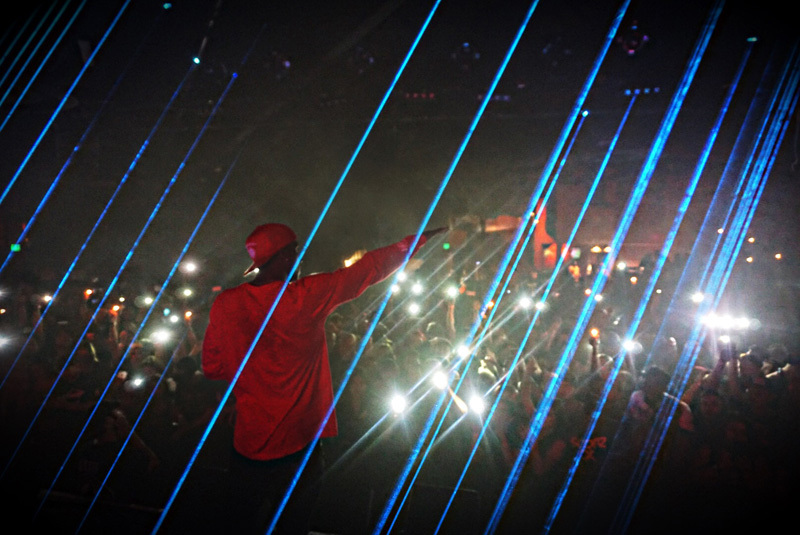 Check out our exclusive photos below from the Sacramento, Reno, Portland, and Seattle stops on his current tour. 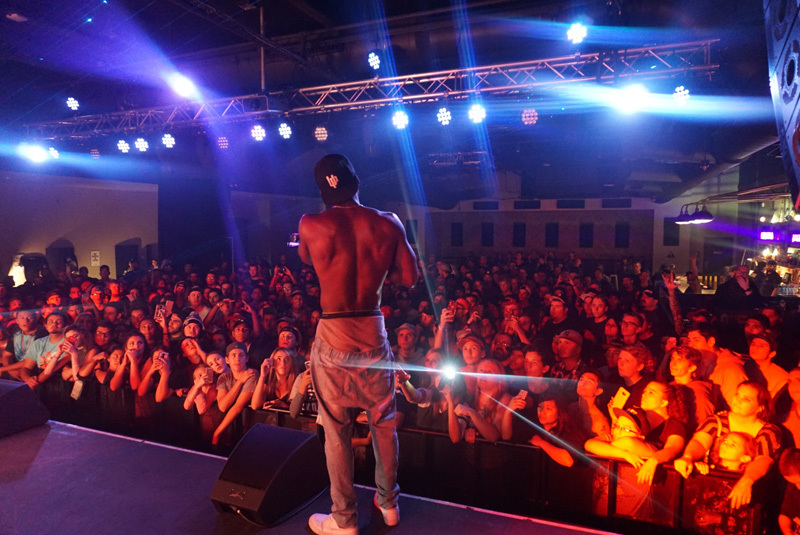 Then, scoop up your tickets and Track Hopsin below! 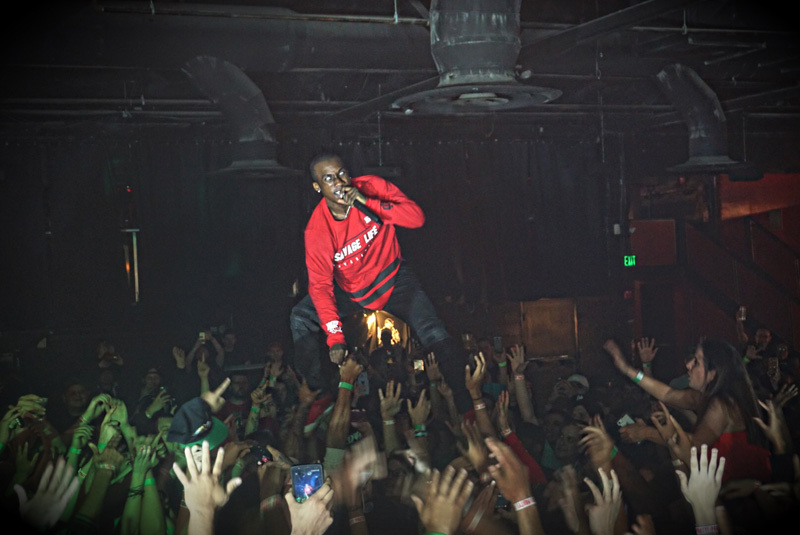 Want some incredible Hopsin merch like tees, sweatshirts, and hats? Of course you do. Head here to scoop up the items below and more cool swag!